Whelen currently provides safety lighting for Police, Fire, EMS, and DOT professionals as well as many other industries. The production volumes seen in the automotive sector have allowed Whelen to invest in the latest automated assembly equipment in order to compete world-wide. 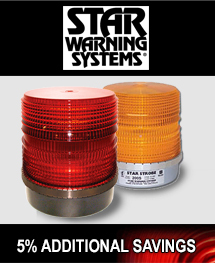 In the 1970s Whelen introduced the Outdoor Warning Siren ... totally electronic and capable of not just warning tones but also high-powered voice messages. The Mass Notification Division has saved lives around the world. 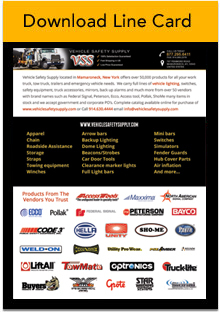 VSS carries a large selection of Whelen vehicle safety products.